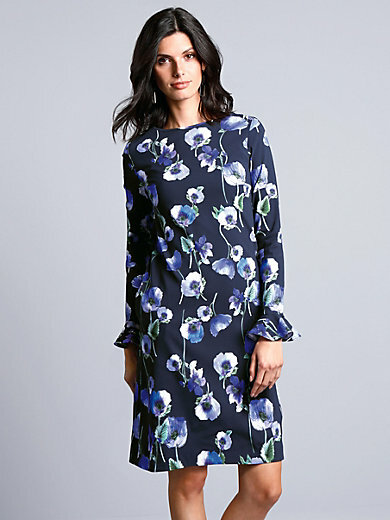 Dress by GOAT: charming and ladylike – an outstanding designer dress made from vibrant material featuring exclusive floral print on a navy background that means every dress is unique. Elegant design in a slightly A line cut with a flounce at the long sleeves and a seam zip at the back. 97% viscose, 3% elastane. Length approx. 95cm/38ins. Dry clean recommended.